The MBA (Premium) program at ASM’s IBMR is designed to ensure employability through various industry certifications for domain & technical skills. The topics students will explore include creative problem solving; learning how to confront difficult situations;leadership synthesis; leading change in diverse organizational cultures; and developing your leadership skills. And the students are trained to achieve these attributes through ASM’s EDGE and top industry certifications like Business Analytics by IBM, user modules by SAP, etc. 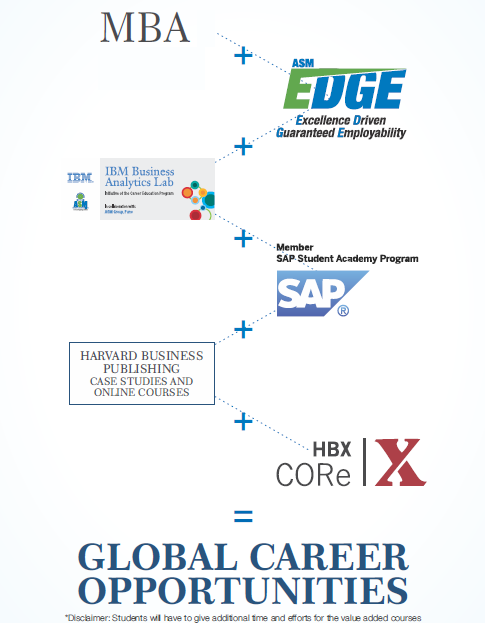 Also, ASM is the first management institute in India to offer HBX CORe program by Harvard Business School.The skill-based training makes them the most sought-after candidates. The MBA (Premium) program at ASM’s IBMR, one of the topmost MBA colleges in Pune, India, aims to equip the students with requisite knowledge, skills & right attitude necessary to provide effective leadership in a global environment. To develop competent management professionals with strong ethical values, capable of assuming a pivotal role in various sectors of the Indian Economy & Society, aligned with the national priorities along with proactive thinking so as to perform effectively in the dynamic socio-economic and business ecosystem so as to harness entrepreneurial approach and skill sets. The launch pad for grooming begins on Day One when students come to our campus, through an intensive induction schedule, by the end of which a student has designed a road map for the following years with the institute. Our Industry- Academia-Interface & activities are designed with a lot of consideration to make a student desirable to the industries, and they act as milestones on their journey towards their placements. The program is designed to ensure employability through various industry certifications for domain & technical skills, industry visits, internships, soft skills, industry mentoring, interaction with global leaders & international internships. Following are the top reasons why students should enrol for MBA courses in Pune, Maharashtra, India from ASM’s IBMR, which is one of the best MBA colleges with highest placements affiliated to Pune University. Learn analytics from IBM and enterprise management from SAP in your specialization. Industry visits, certification, training programs and opportunity to learn from the best in academia and industry. 360º grooming throughout the year for the students to make them the most sought-after candidates. Mentors from IBM gives you capstone projects to gain insight of analytics sector wise. 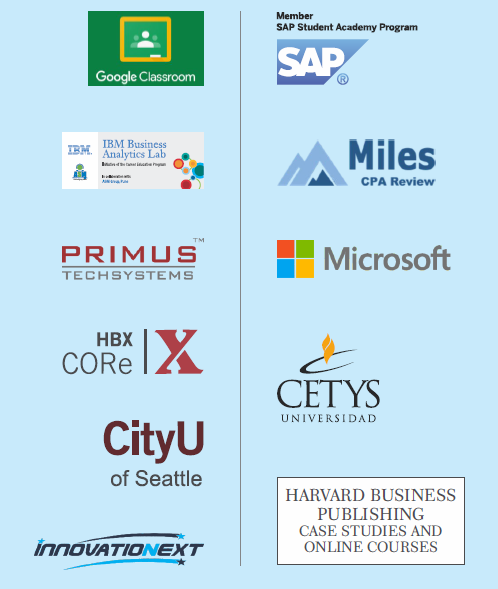 Online courses and case studies from Harvard Business Publishing. Candidate having minimum 50% aggregate in graduation (45% in case of reserved category of Maharashtra State) from a recognized university and having valid CMAT/CAT/MH-MBA-CET scores are eligible to apply for the MBA (Premium) program. Admission to the course is centralized conducted by the Directorate of Technical Education (DTE), however students may also apply for the institute level seats. Candidates applying to the institute directly will have to send their 10th, 12th, Graduation marksheet, entrance exam score card, & photo ID proof either by email, by post or in person. Once the documents are verified the students will have to appear for the personal interview. On being selected, the candidate may take admission within the stipulated date by paying the tuition fees and submitting the relevant documents in original. We have a rich blend of core, international, and industry faculty that deliver the program using innovative and experimental pedagogy and state-of-the-art learning management systems (LMS). To know the full list of faculties for this program click below. Curriculum for the program in developed & delivered in association with top global academic partners.